The plan to include the Star Wars films on the Disney direct to consumer streaming service may have hit a bit of a snag. The company sold the television rights to the films in 2016 to Turner Broadcasting for $275 million. The deal runs until 2024. Bloomberg is now reporting, however, that Disney has made some inquiries to Turner about buying back the rights so that it will be able to include the films on the streaming service. According to the report, Turner has been resistant to the idea and is seeking "financial considerations and programming to replace the lost films". The upcoming Disney streaming service was first announced in August 2018, when it was also revealed that Disney was opting out of their streaming deal with Netflix. The service is set to launch next year, and will feature a mix of original content and titles from the Disney archive. Among the original content that will be available on the service will be a live action Star Wars series that Jon Favreau is writing and producing, as well as the long awaited seventh season of the animated series Star Wars: The Clone Wars (which ran on Cartoon Network and Netflix from 2008-2014). 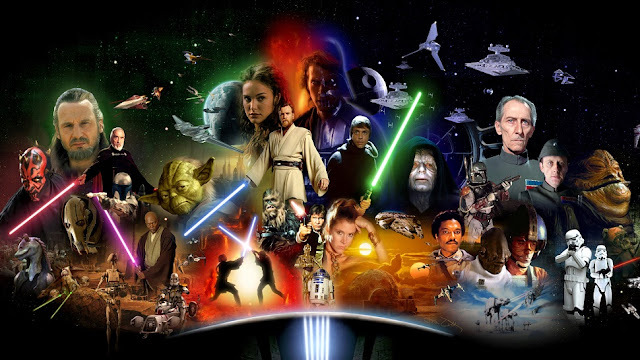 Disney obviously wants to be able to include the Star Wars films among the legacy content on the streaming service, however their current deal with Turner presents some significant obstacles. As it stands right now, Turner owns the TV rights for Episodes I-VI, plus the rights to all the new films (The Force Awakens, Rogue One, The Last Jedi, and Solo) after a one year window where they are available on Netflix. With Disney pulling out of their deal with Netflix, it seems that one year streaming window will shift to their in-house service. So for Episode IX, for example, Disney would be able to put in on their service for one year before they would have to pull it and Turner would be able to show it on their TV networks (such as TNT and TBS). It will be interesting to see where this story goes. Disney is obviously investing a lot of money in the launch of this streaming service, and having arguably its most popular franchise available for streaming would be a significant draw for consumers.